A while ago there was a community chat room for the Lionhead community called The Lionhead Pub. Sadly that was shut down and many of the community still mourn its loss over a pint of beer singing its lament to their fellows. But, Mortalitis Infinitas a community moderator over at the Lionhead forums has taken it upon himself to usher in a new age of drinking and storytelling - and general off topic nonsense - in his new tavern, The Dead Hamster. If you want to know more about the chat room and generally how the development is going then check out the following links below. 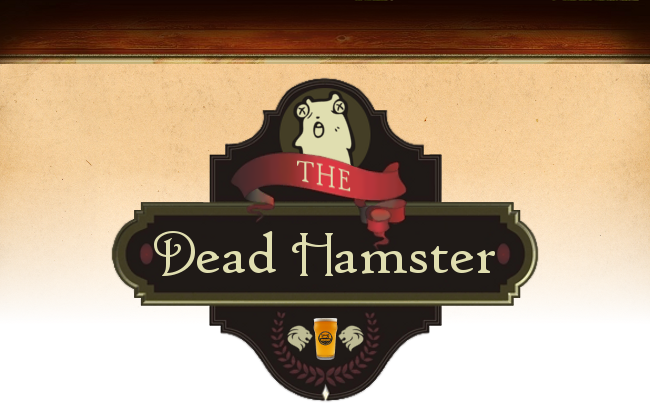 Here at The Bloody Stump we wish The Dead Hamster the best of luck in its endeavours and of course, if its open after we shut we will be heading over there for a cheeky late night pint!